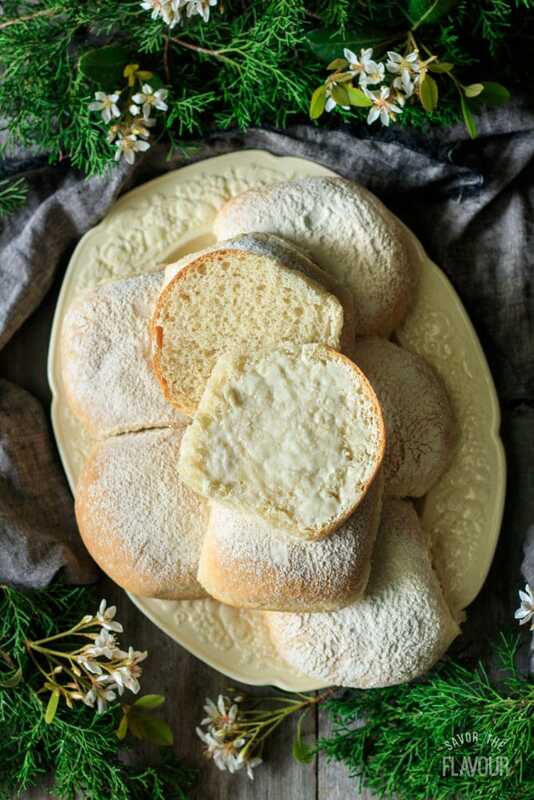 This easy recipe for Waterford blaas shows you how to make these traditional Irish white bread rolls. 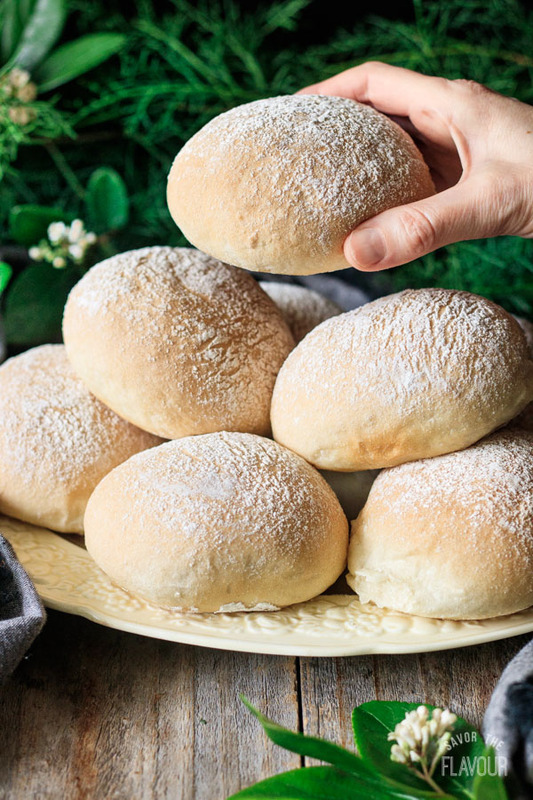 These homemade rolls make amazing sandwiches, and taste good just with butter! Eat like the Irish and try these soft, pull apart buns at breakfast. This post was originally published on March 8, 2018. 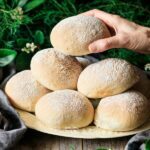 Have you ever heard of a Waterford blaa? I didn’t know about them until last year, when Mom was researching Irish cuisine in preparation for St. Patrick’s Day. Waterford blaas are white rolls with a soft interior and floury crust, and are quite popular in Ireland. They’re so beloved by the Irish people that the Waterford blaas gained Protected Geographical Indication from the European Union–the only Irish bread to gain this status. Only four bakeries in Waterford County, Ireland, are licensed to make and sell Waterford blaas. Among these bakeries, they sell 12,000 blaas each day! 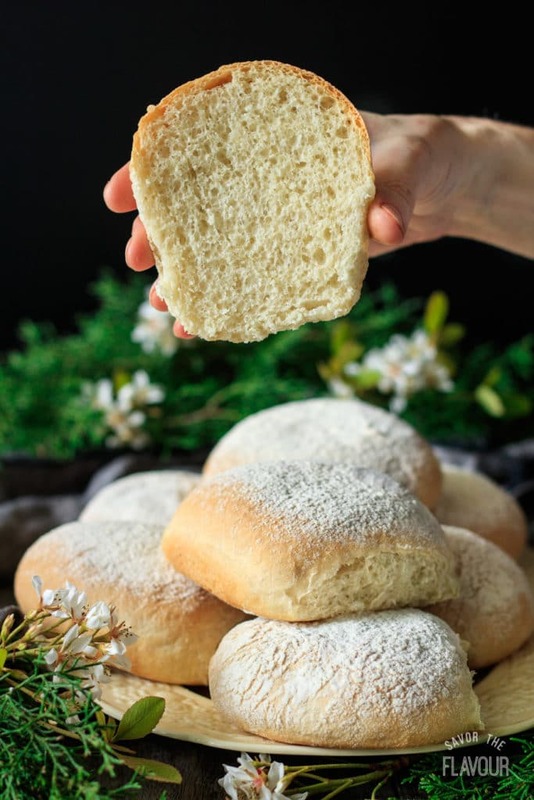 The name “blaa” could be related to the Huguenot word blaad, a name for leftover dough, while some think it could refer to the French word blanc, meaning “white.” This alludes to the white flour sprinkled on the blaas. Where did Waterford blaas come from? Blaas were actually brought over from France by the Huguenots when they immigrated to Ireland. They brought their special white flour with them and taught the locals how to make the blaas. Check out more information about the Irish blaas here. How do you eat Waterford blaas? The Irish often enjoy buttered blaas stuffed with Irish bacon at breakfast, but they also use them for sandwiches such as the chip butty (aka French fry sandwich!). I think blaas taste great on their own, but making them into a sandwich really takes them to the next level! Although I’ve never been to Waterford, Ireland to taste an authentic Waterford blaa, it would be very exciting to visit this part of Ireland and experience this awesome bread fresh from one of the four licensed bakeries! 😉 The ingredients for this recipe are from the blog Lea & Jay, but I’ve changed the method somewhat. Gather the ingredients: bread flour, salt, yeast, water, butter, and sugar. 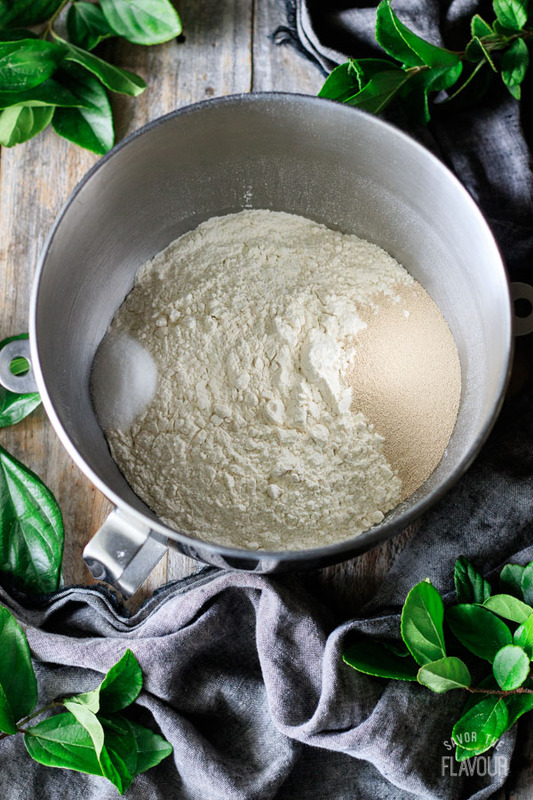 Pour the flour into the bowl of a stand mixer and add the salt and yeast on opposite sides of the bowl. Stir each one in with your finger to blend. Mix in the butter and sugar until blended, then trickle in the water until a sticky dough forms. Place the dough in a buttered bowl, cover with plastic wrap, and let it rise until at least doubled in size, about 1 to 1 1/2 hours. 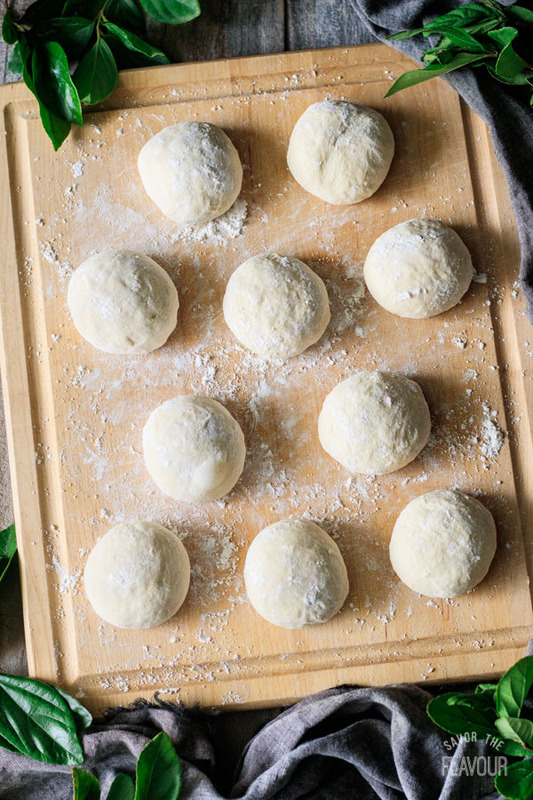 Divide the dough into 10 equal pieces, then roll each one into a ball. 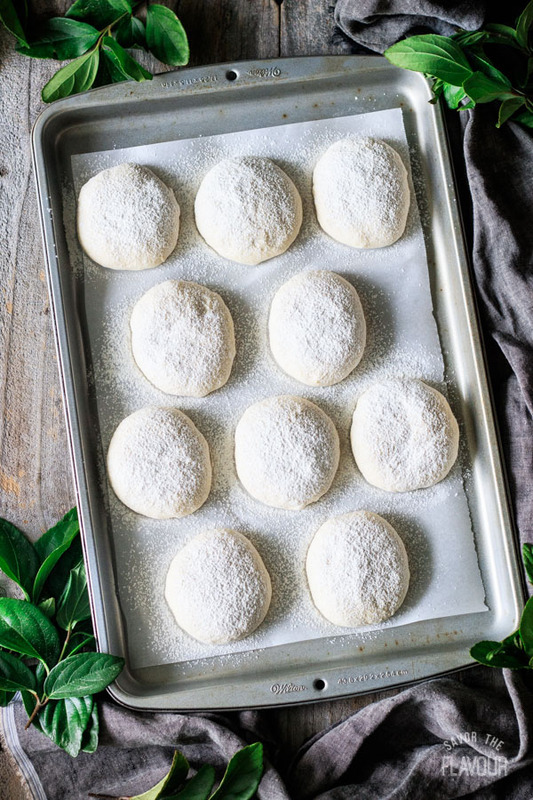 Flatten each ball slightly with a rolling pin and place on a parchment-lined cookie sheet. Cover the blaas with a clean plastic garbage bag and let them prove until doubled in size, about 50 minutes. Bake at 400 F (200 C) for 15-20 minutes, until they are nicely browned and have an internal temperature of 200 F (93 C). In a hurry? 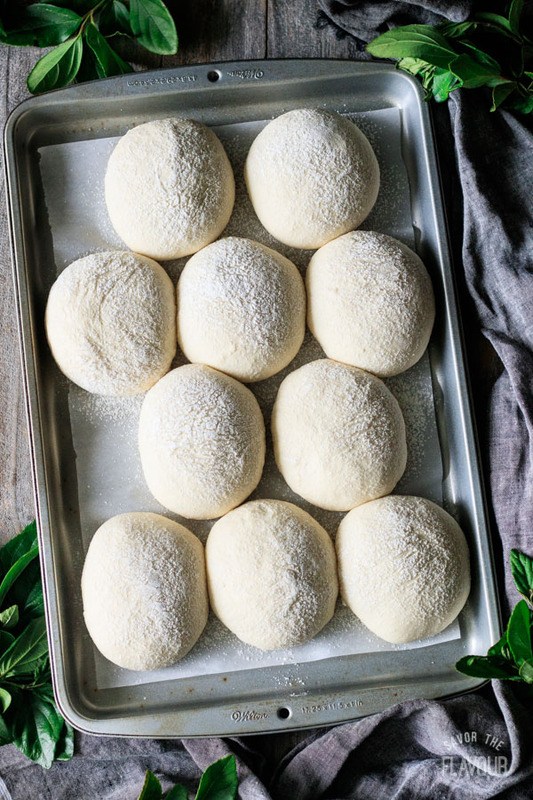 Make the blaa dough the night before and let it prove the first time in the fridge. Proceed with the recipe as written the next day. Don’t rush the proving; a slow prove gives the blaas a better flavor. Want soft blaas? Bake for 15-20 minutes at 400 F (200 C). Want crusty blaas? Bake for 15-20 minutes at 425 F (220 C). 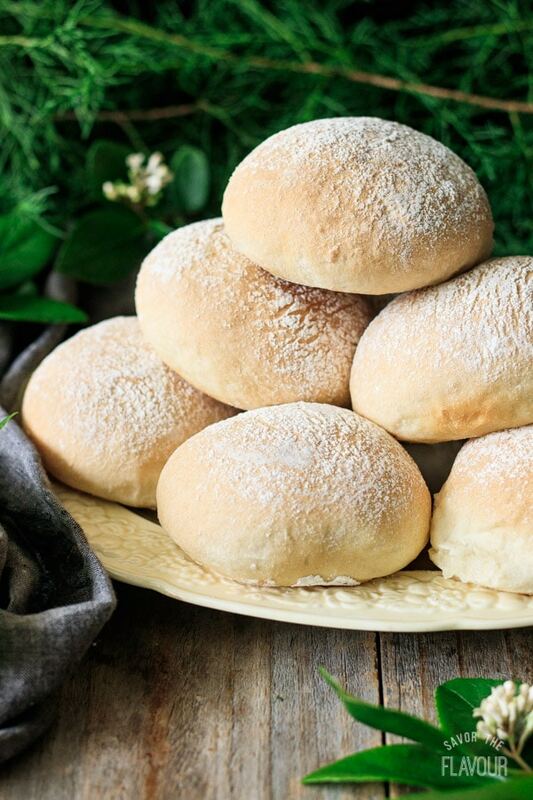 Serve the blaas fresh from the oven to enjoy their distinctive doughy texture. Store fully cooled blaas in a zip-top plastic bag at room temperature to keep them fresh. Eat within 24 hours for best flavor. Freeze the baked blaas in a zip-top freezer bag for up to 1 month. Defrost in the microwave. Hungry for more Irish bread? 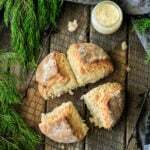 Try these other delicious Irish recipes! Oregano Onion Soda Bread: a savory, moist loaf of Irish soda bread. 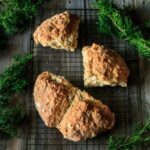 Irish Boxty Bread: a no-yeast potato bread that will leave you wanting another piece! Overnight Potato Bread: this soft and fluffy bread can be started the night before. 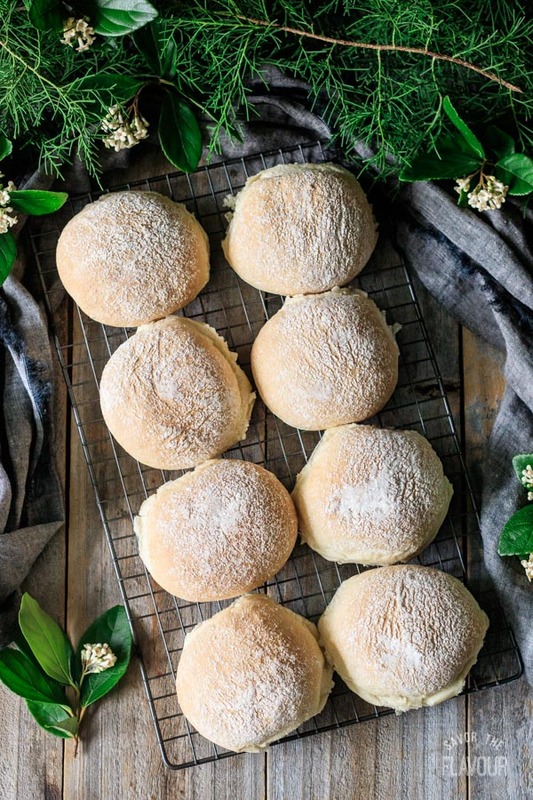 The pleasure of a 5-star review of this Waterford blaa recipe would be greatly appreciated. Warm the water to 115 F using the microwave or a small saucepan. 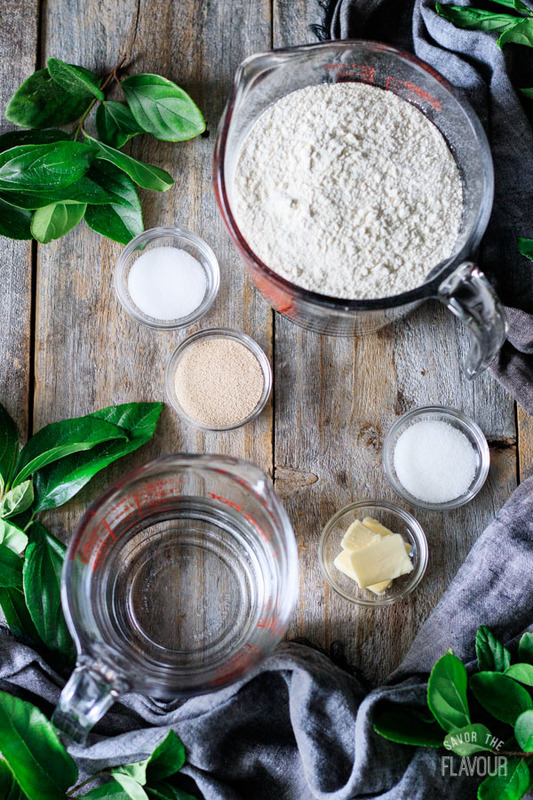 Pour the flour into the bowl of a stand mixer and add the salt and butter. Mix on low speed until well blended, then add the sugar and yeast. 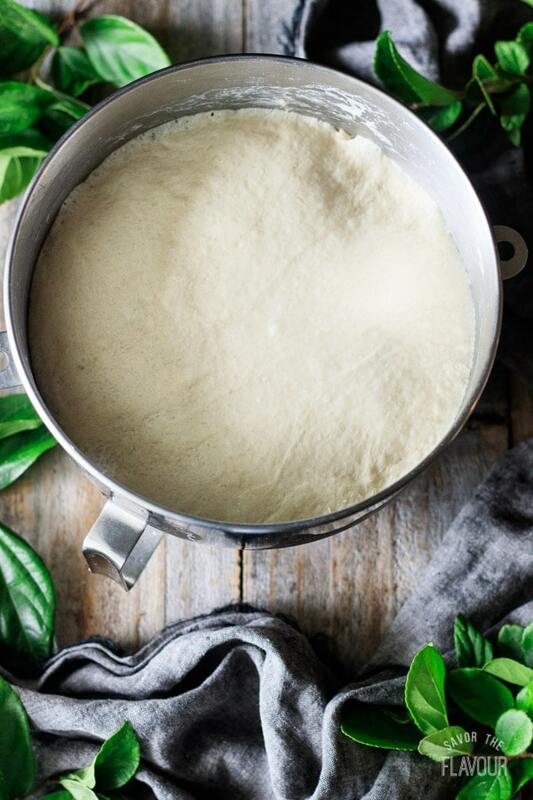 Gradually pour in the water, mixing until a soft, slightly sticky dough has formed and all the flour is picked up from the sides of the bowl. 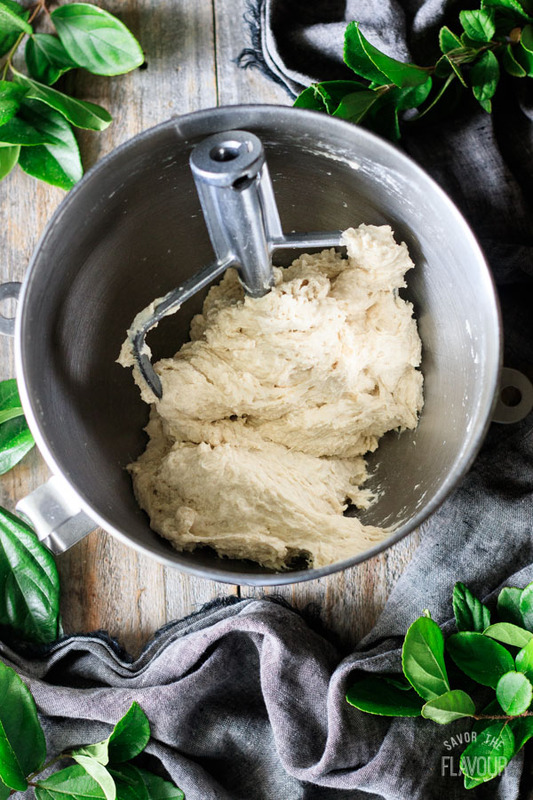 Knead with the dough hook on medium-low speed for 3-5 minutes (or by hand for 10 minutes) until the dough is quite smooth, no longer sticks to the work surface, and passes the windowpane test. Test the dough by stretching a small piece of dough between the thumb and forefinger of each hand; it should be translucent in places without breaking. If not, knead for a minute longer and check again. Shape the dough into a ball, place in a buttered bowl, and cover tightly with plastic wrap. Let the dough prove until doubled in size, about 1 to 1 1/2 hours. Line an 11 by 17-inch rimmed cookie sheet with baking parchment. Turn the dough out onto a lightly floured surface and punch it down all over to knock out the air. 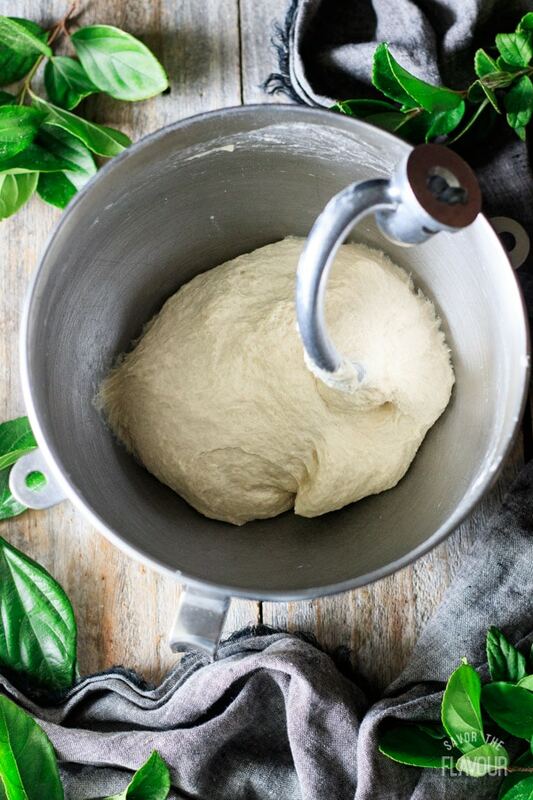 Divide the dough into 10 equal pieces, using a kitchen scale for accuracy. Roll each piece into a ball, then lightly roll the ball in flour. Gently flatten each ball with a rolling pin to shape it into a square with rounded corners. Space the buns an inch or two apart on the prepared tray. Place the tray inside a large, clean garbage bag and inflate the bag. Tuck the ends under the tray to seal, then set in a warm place. Let the buns prove until they’re doubled in size, about 50 minutes. About 10 minutes before the buns are done proving, preheat the oven to 400 F.
Dust the buns with flour from a small sieve, then bake them in the middle of the oven at 400 F (200 C) for about 15-20 minutes, until they’re golden brown and have an internal temperature of about 200 F (93 C). For crusty blaas, turn up the oven to 425 F (220 C). Let the buns cool briefly on a wire rack before slicing in half and serving. Use these Waterford blaas for a traditional Irish chip butty sandwich.